What do you have in the case??? DOOM!!!! The ultra low-deflection “DOOM” shaft comes standard on all Pancerny Custom cues….higher end models even come with two!!! Received a special deal on these and passing it on to you! Need a new tip? Shaft? 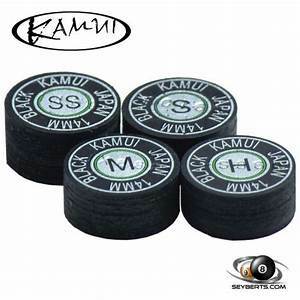 Or maybe you want to dress up your prized cue with a premium leather wrap! Please click the link to go to our repairs page for pricing. Pancerny Custom Cues soon will soon be offering cue extensions for our newest style of cues, stay tuned!! Custom pool cues are my passion. After 20 years I’ve learned a lot of construction techniques that make them play exceptionally well. The cues that come out of my shop now are markedly different than what I made years ago. Change and progress are both constants here. 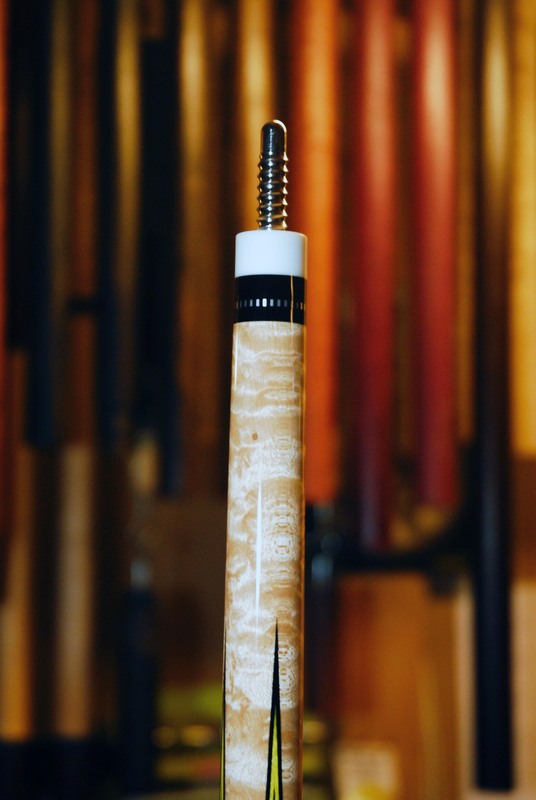 We strive to build custom cues that will be the pride of your collection, the one you will want in your hands every time. Some things unfortunately will not be left to the customers specifications. Twenty years of experience also comes with a lot successes and failures. Simply put, when we design and build a cue there are just certain things that are non-negotiables since we feel they are the right way to be done. So what is the dot all about?? When I first started doing repairs, I saw a shockingly high number of cues broken just below the pin. What became apparent to me is that many cues are made with a void in this area, sometimes it’s a pretty big one, and weak spot as you can see in the photo to the left. Some pins include a small channel in the side, which allows any excess glue to come up from underneath it once it is inserted. For this to work the glue must be VERY thin. 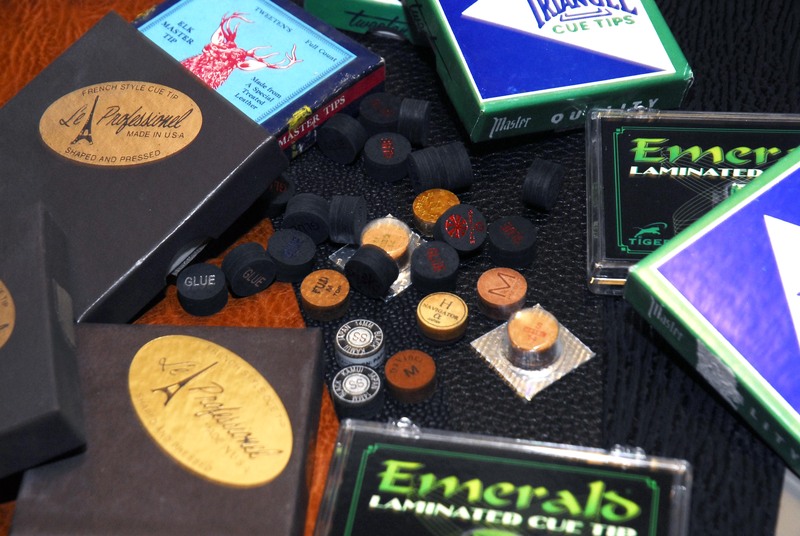 Most cue makers use a high-quality marine grade epoxy here, such as West System so this method can actually work pretty well. When glueing in a pin, I prefer to use 3M DP 420 which is much stronger than the West System glue. It’s thicker too which makes “glue relief” much more challenging. A small “glue relief hole” allows me to use lots of glue and the excess can simply exit just below the pin. My personal belief is that this area of the cue is critical in the way a cue plays and making it as solid as possible is essential. 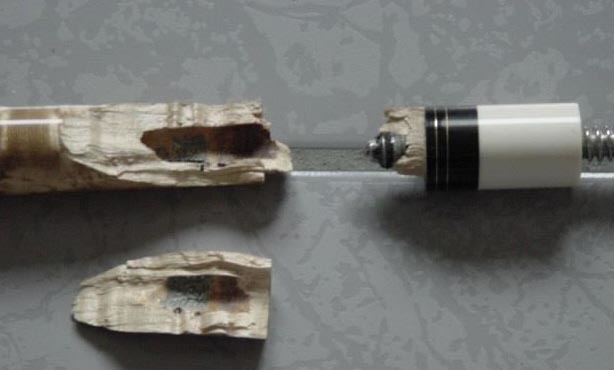 A small plug fill is used to fill the hole and when the leftover glue hardens, everything in this area is as SOLID as it can be. There is never a chance that our cue will break under the joint like this one did, EVER! If I does I’ll replace the cue at no charge. That simple! Try one of my cues and I think you will see that they have a feel that is unrivaled! So what can and cannot be customized? At the present time I have decided to stop taking custom orders. For the next few months I’m going to concentrate on completing some that are a bit over due and building some the way I want to. Possibly by the end of 2019 I will be taking orders again, more to come on this. The best way to get your hands on a Pancerny cue right now is to purchase one that is already complete, I will put details and photos up on the site when they’re ready. Please check in the “Available Cues” section. Whether you are an enthisiast or professional I think you will find that a Pancerny Custom will feel great in your hands! What if I want a low-deflection shaft? We now offer low-deflection shafts standard with any of our cues. 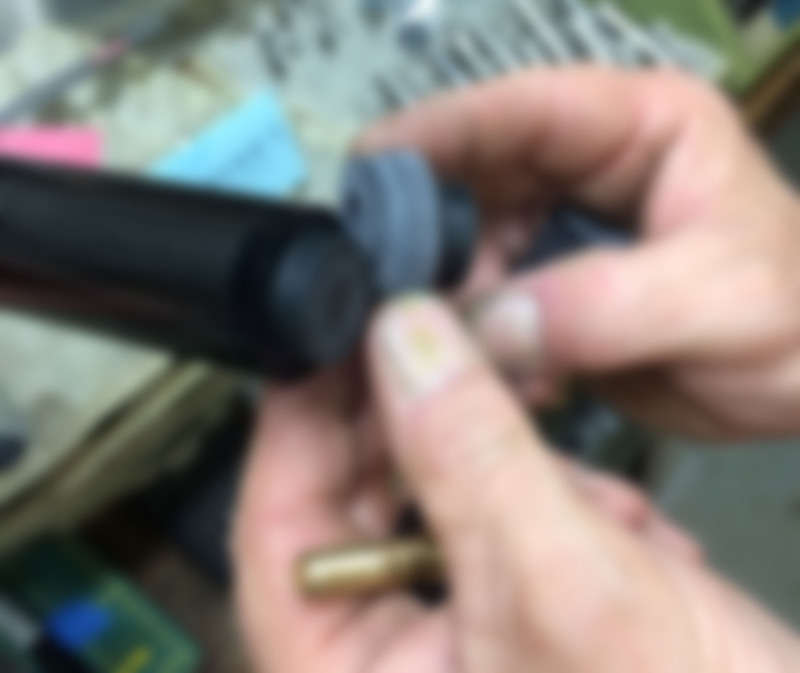 If you don’t absolutely love it then we can easily fit a shaft from any of the popular makers for an additional fee. How long are the cues? Pancerny cues are made slightly longer, to help you get around a 9 foot table with ease. Typical length is 58.5-59 inches. The shaft on this cue is straighter than a Baptist Preacher! I love my Pancerny Cue. Lost it for 3 hours at a pool tournament, was so happy when I found it! I bought one of these about 10 years ago… I love it… The best purchase in my pool career.